Robert Dawson is a master at capturing the spirit of one of his favorite subjects, the horse. 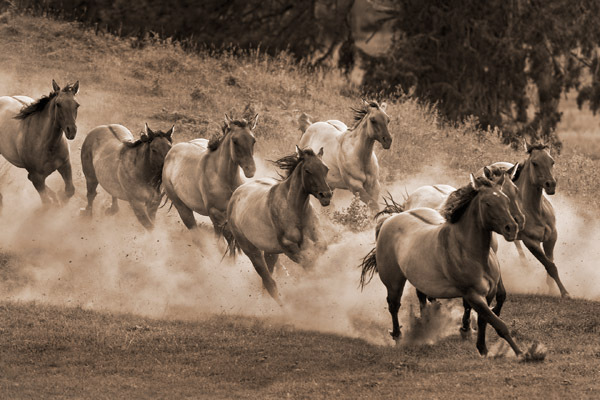 Nothing is more exciting than being witness to a herd of mustangs running in the wild. These companions thunder across the open field leaving a cloud of dust behind them. Dawson brings to life these magnificent animals as they live in their natural surroundings.